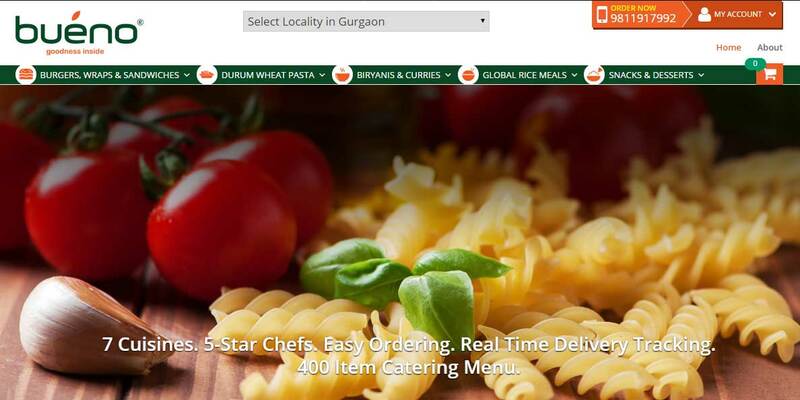 Bueno, a Gurgaon based food-tech start-up which delivers fresh and healthy global gourmet food, has raised $600k in Pre-Series A round of funding from an undisclosed angel investor. This initial round of funding will be used in talent acquisition, technology up-gradation, data-analytics, operations, footprint enhancement and marketing for a more seamless, hassle-free and customer-friendly process. It will also focus more on physical operations, customer relationship management, supply chain, building improved and efficient technology platform, expansion within Gurgaon etc. This funding will also help in increasing the number of orders and deliveries by 20x on their platform. Ramesh Mantri from Ashoka Advisory capital, Advisor to the transaction, said,”Food and beverage is a huge sector and almost 80 per cent of it is unorganised, but the same is now getting organised with the emergence of new players in this field to exploit and explore the ocean of opportunities". "Bueno has maintained a perfect balance between great food and technology, with the right set of strategy and business proposition. Primarily focusing on an end-to-end premium experience, we love the fact that they are taking a holistic approach on food and not boxing themselves in cuisines, locations, timings or need states. Bueno is consumer centric and not product centric. They are making it more accessible and seamless through technology which also is a core, a strong team across functions, and 5-star co-founder chefs who are determined to deliver the best. All qualities strategic thinking, great character, strong execution skills and an attitude to deliver, won the investors’ confidence and they were excited to invest in this venture as they are extremely sure that Team Bueno can get the pole position in this huge Food market regionally, nationally and then globally,” Mantri added further. Bueno offers a diverse menu of 400 dishes spread across seven different cuisines (American, European, Asian, Indian, European, Mexican and Middle Eastern). The start-up also offers customised menus for birthdays, parties, meetings or other large get-togethers at a notice of 24 hours across NCR. “For us, quality and sustainability is paramount and defines everything that we do at Bueno. We intend to create lasting value and hence in the last 3 years, we have seen many ups and downs in our journey and have been on the verge of closing down at least 5-6 times. We have evolved our business model each time to come out stronger and were determined to stick it out and deliver a sustainable business model which can build a great and lasting business," Arora shared further. The start-up also plans to soon release its Android and iOS mobile app, which will provide real-time information on ordering, tracking and delivery of the food apart from customising the entire experience. It has also recently launched GPS tracking platform to fasten up pick-ups and deliveries ensuring 100 per cent efficiency. Bueno has 5-star Chefs who are also co-founders. Vipul Arora and Puneet Jain brings around 20 years of Global Cuisine/Operations experience. The core team also includes Ritesh Shrivastava, an IHM alumnus heading Market Operations; Kapil Gupta whose team at OMLogic spearhead technology and digital marketing; and Pankaj Batra whose team at Sparse Labs work on cutting edge technology development and analytics.